James' Jetsam - Your Cruise Expert: Are Fred Olsen trying too hard? 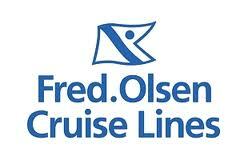 First off, I like Fred Olsen. I like their ships, (well the Balmoral); I like the atmosphere onboard; I like their staff and normally I like the way they operate, but just lately it's started to feel that Fred Olsen are trying to be something they're not. Where I think Fred Olsen come into their own is in the fact that they're a great, traditional, British brand. Everything on board is run in a very British way, with none of the pretentiousness that you can get with some cruise lines. As I've said though, just lately it almost feels as though they're moving away from that and trying to compete with the likes of Cunard; the problem being the two brands are nothing alike. You may remember a post I wrote last year, (No thanks Freds, we're British), about how Fred Olsen had started to add gratuities automatically to guests onboard accounts. I remember thinking at the time that it was strange for such a traditionally British company to introduce such an American way of doing things and I wondered what they'd be doing next. To avoid confusion, you'll now find that there is no longer a casual dress code onboard, leaving formal, informal, smart casual and, of course themed. In keeping with the more relaxed atmosphere of our theme nights, guests who prefer not to follow the evenings theme can choose to wear smart-casual attire instead. Now obviously this is nowhere near as bad as introducing automatic tipping and I know that an argument could be made that a more formal cruise is much more 'British' but I don't know, to me it just feels that Fred Olsen are moving away from what made them great in the first place. What do you think? Remember James going on a cruise for a woman means dressing up. Women love it. James, I like many other traditional cruisers have never subscribed to casual, as I read casual as sloppy, and for casual some people think anything goes. As far as I am concerned Formal speaks for itself, Informal is jacket and tie, Casual is shirt and tie. Over the last 12 yrs there has been a marked drop in dress standards, and some people think its normal to dress on holiday just the same as they do at home, and that is just one of the reasons why the cruise industry is going down hill. Two more nails in the Fred Olsen coffin as far as I'm concerned, both moves take them further away from the requirements of the upcoming cruising generation.